I am looking for a long term relationship for animation and video intro and outro for a series of content pieces and online courses. I am a hypnotist, speaker, coach and I am obsessed with all things personal development. I have really been stepping up my content and am ready to take my quality to the next level. 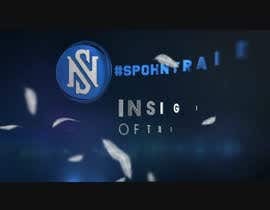 For this contest I am looking for an intro AND outro clip for my daily instagram and youtube series called "Insight of the Day". I have attached my logo and some of my graphic design pieces to model. This is a short video clip (target 1 min) so I need short but captivating video design. Also I would love some kind of integration of feathers and/or arrows. Like an arrow shooting into or through the logo would be cool. 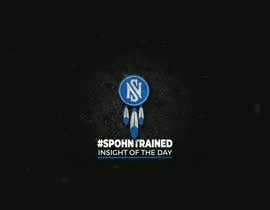 I would like the "Insight of the Day" text used and "#Spohntrained" used as well. I need someone who is responsive! a little more clarification... For the "insight of the day" video intro... 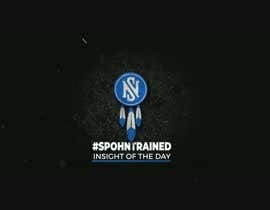 I would like a native american drum track for the sound effect, the logo stamps in, the Text "#SPOHNTRAINED" stamps in under it, and "Insight of the Day" stamps in below it. Then if you can do an arrow shooting from bottom to top all the way through the text/image and the image explodes into feathers that fade into the video. You can add your own idea or flare. Then for the outro, the video fades off and the logo fades in, and it has a call to action "Subscribe, Comment, Like" or something like that all stacked on each other. The outro is pretty simple. Ok for the music I want Native American drum music. Hello. Do you have your logo in vector format? .ai or .eps? this is my first contest, you want me to make it sealed so no one sees your entry? one minute logo intro? is that correct?